The volume of partners and clients developing new solutions and campaigns with Vatoms is growing by leaps and bounds. This is driving a rapid increase in the number of users and unique Vatoms in circulation. As the number of Vatoms scaled (in March we reported the 10 millionth Vatom in production) the demand for trading Vatoms among users has also increased. To that end, we have enabled the API’s for 3rd parties to easily create trading platforms for Vatoms. This month, we are pleased to announce the beta release of Vatom. 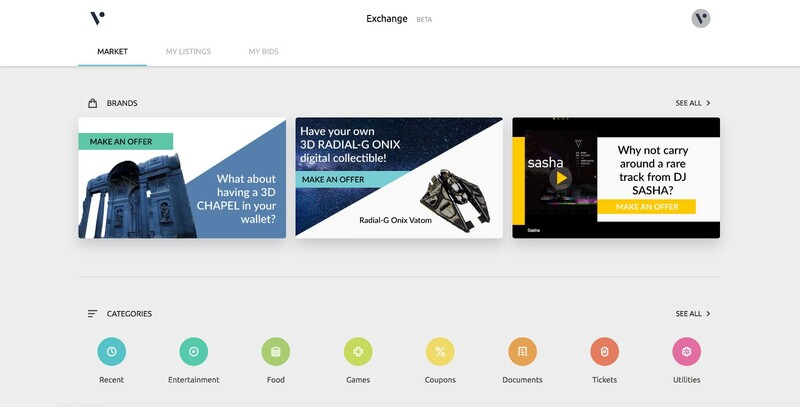 Exchange, a highly engaging and convenient barter system for Vatoms for public use. This web-based marketplace allows users to easily find and swap Vatoms in a safe and intuitive experience. A Vatom exchange like this will eventually be integrated directly into viewers, but for now, users can access the experience at http://vatom.exchange. In the exchange, users can search Brands, Categories or Recently Listed Vatoms. Users can also find Vatoms through a standard Search function. Under “My Listings” a user can see the Vatoms they listed on the Exchange and under the “My Bids” section they can see the Vatoms they made offers on. At any time a user can cancel a Listing or Bid, but once an offer has been accepted, the exchange will happen automatically. 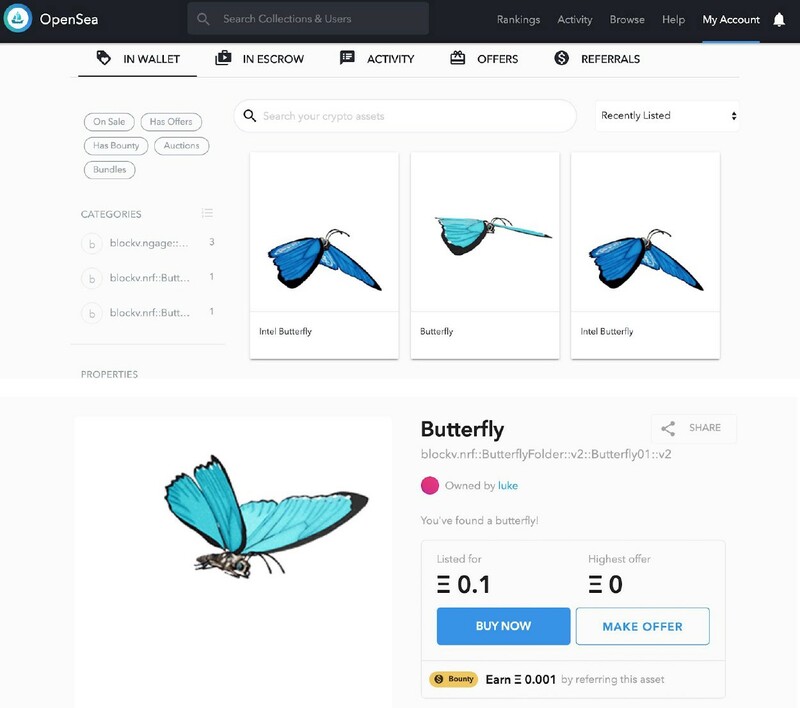 The documentation of the Exchange APIs, used in this service, will be published shortly on the Developer Portal. Vatom.Exchange also uses a beta version of BLOCKv OAUTH service. The release of the public documented version of this service is still pending. In the future, look for new features to be added to the exchange such as intra-user messaging and Vatom purchase. In addition, Vatoms can trade on any blockchain exchange. For instance, sending and receiving ERC721-based Vatoms to and from external Ethereum wallets is now as easy as sending to a phone number or email address. The new update to the vatom.com web app allows users to “send” Vatoms to any Ethereum wallet address, either by entering the address or with a QR code scan. This allows users to send their most prized Vatoms to an Ethereum cold wallet for safekeeping, or give them to a friend that has not discovered Vatoms. This new functionality also enables users to list Vatoms on a third-party exchange with an Ethereum wallet address. Now users can trade or sell their Vatoms on external exchanges such as OpenSea.io. 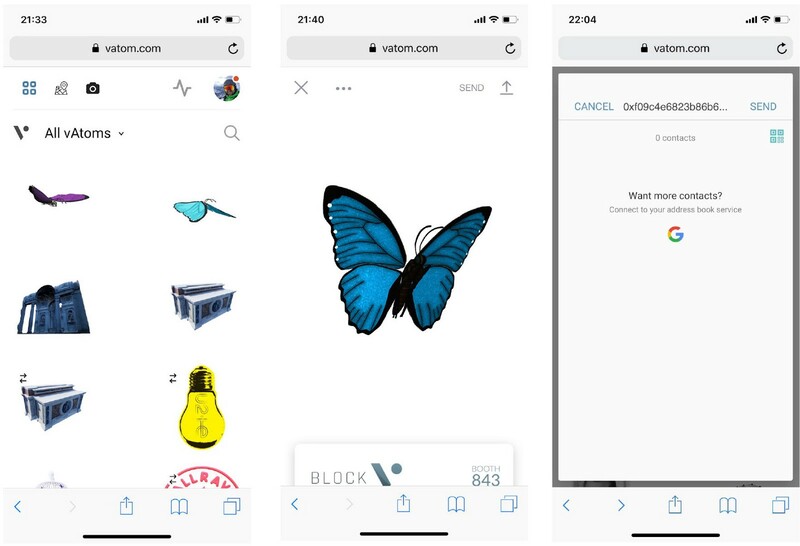 Here is how the transaction works: once a user sends a Vatom to an Ethereum based wallet, it will disappear from their BLOCKv inventory and show up as a ERC-721 token in the recipients Ethereum wallet. Users can also receive Vatoms from Ethereum based wallets into their BLOCKv account, by providing the BLOCKv Ethereum address found in their User Profile page.